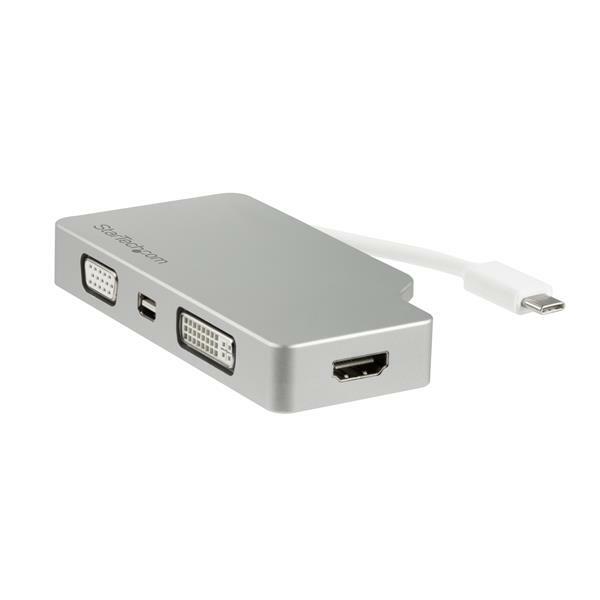 This silver USB-C™ multiport video adapter offers a portable solution for connecting your USB Type-C laptop to a VGA, DVI, HDMI® or Mini DisplayPort display. 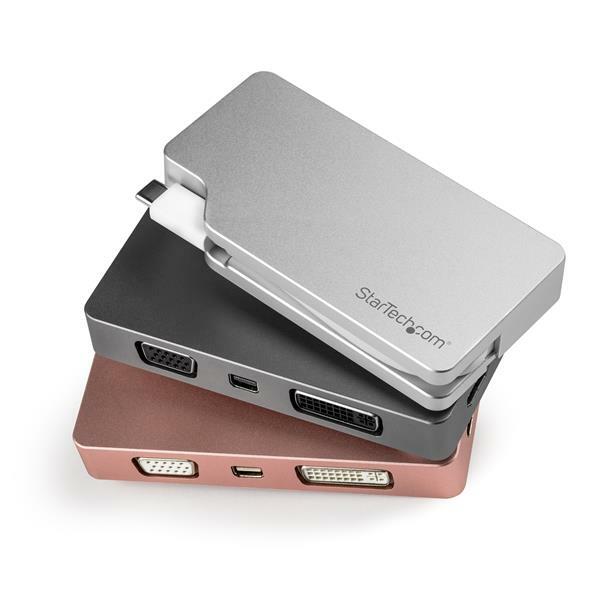 The adapter is also available in Space Gray (CDPVDHDMDPSG) and Rose Gold (CDPVDHDMDPRG). 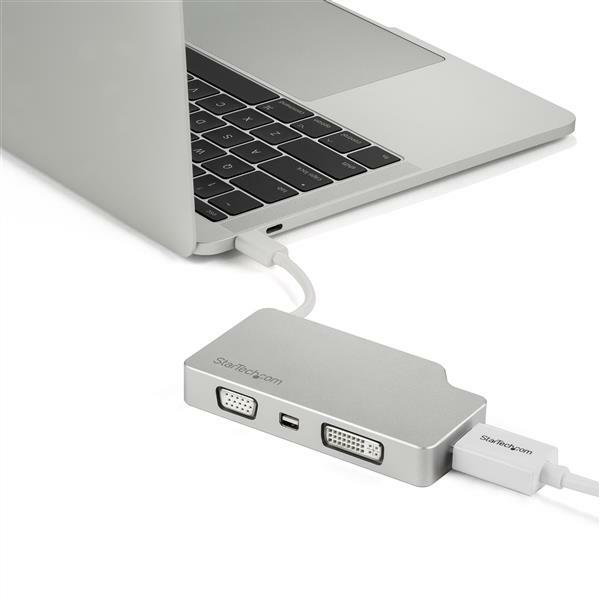 Avoid the hassle of carrying different adapters for different displays with this 4-in-1 USB-C adapter. 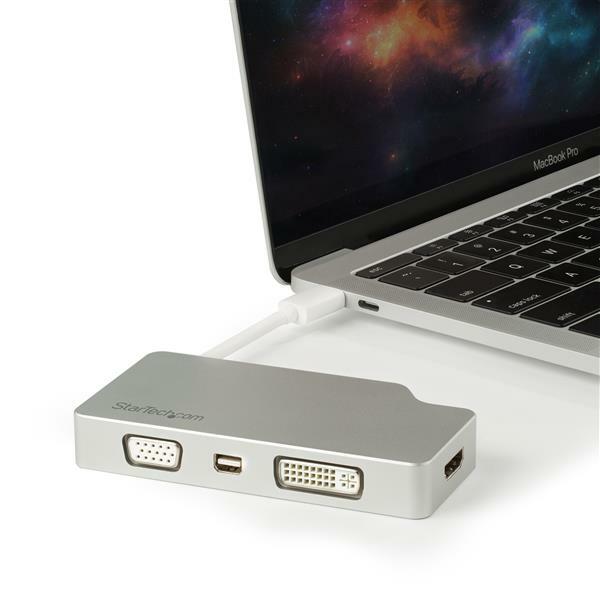 With VGA, DVI, HDMI and mDP output, you can connect your laptop to virtually any display, a convenient plug-and-play solution for travel or Bring Your Own Device (BYOD) applications. 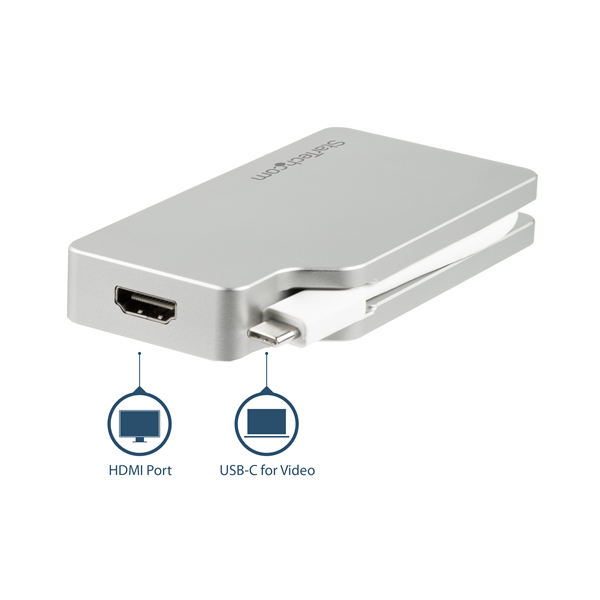 The HDMI and mDP outputs on this USB-C video adapter support UHD 4K resolutions, providing four times the picture quality of high-definition 1080p. All of the outputs (HDMI, mDP, VGA, DVI) can support high-definition resolutions of up to 1920 x 1200. 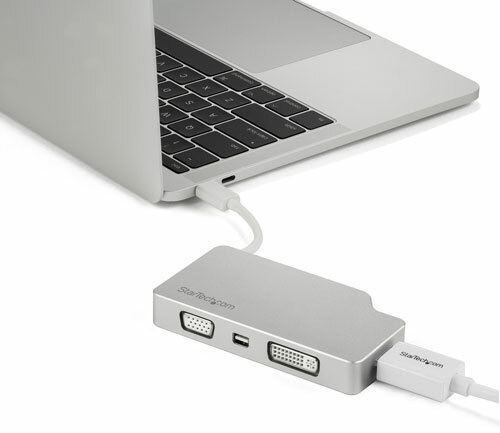 The USB Type-C adapter has an aluminum housing designed to match your silver MacBook and is compatible with any device that supports USB-C DP Alt Mode. 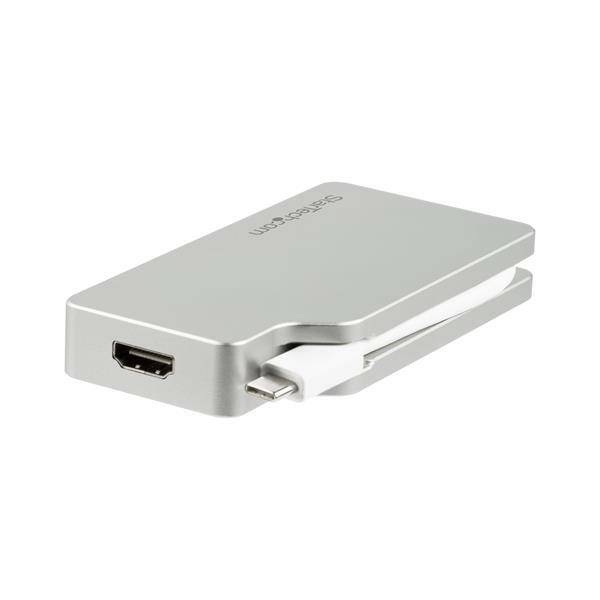 Featuring a built-in USB-C cable with magnetic cable manager, the USB-C video adapter conveniently stores away for easy travel. 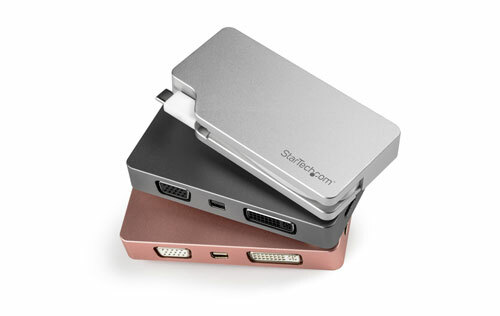 The CDPVGDVHDMDP is backed by a StarTech.com 3-year warranty and free lifetime technical support. 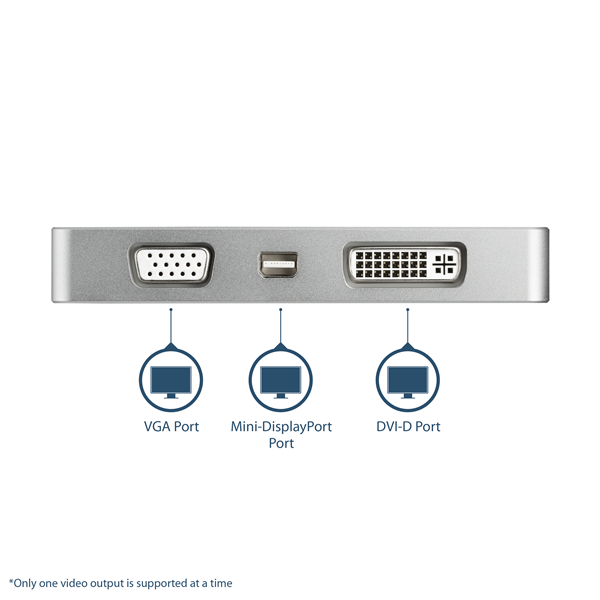 General Specifications Only one video output is supported on the video adapter at a time. 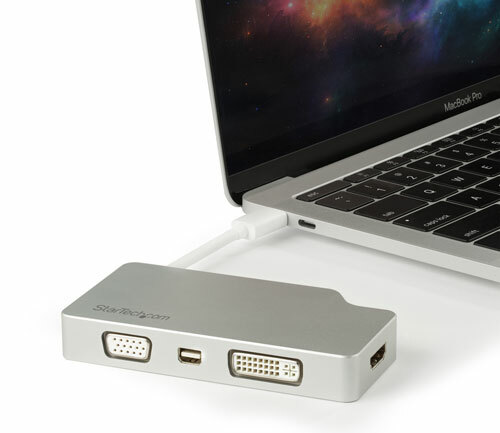 If multiple connections are made, only one of the outputs will function.